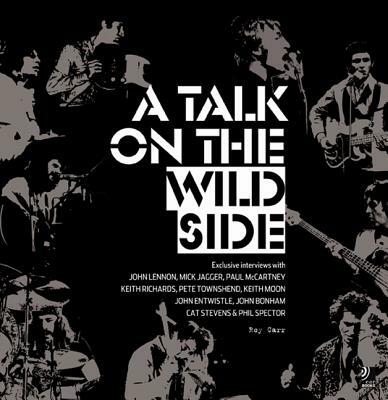 "A Talk on the Wild Side" includes 120 pages of the most important musical and social events of the early 1970s depicted with rare icons and images of the time. To complete the ultimate rock package, listen for the first time to ten exclusive interviews, never before heard, with the world's greatest rock legends on four CDs, telling it exactly how it was. Description: Small bump on front cover. Small "M" stamp on bottom page ends. Book and 4 CDs. 11 1/8"w x 11 1/4"h. 120 pages.